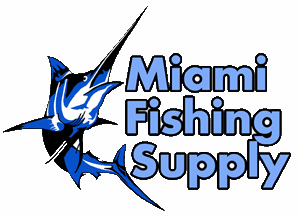 Sea Anchors & Sea Brakes Miami Fishing Supply, complete selection of offshore fishing tackle, marine electronics and boat supplies. PARA-TECH Sea Anchors are made from high strength NYLON fabric having weight and strength more than four times that of surplus parachutes which have been used as Sea Anchors for many years. Seams are reinforced with Nylon webbing. Nylon lines with a minimum strength of 1,500# are joined at the rode end to a shackle with a strength of from 17,000# to 52,000#. A correctly sized PARA-TECH Sea Anchor will likely never experience the loads it is capable of taking. PARA-TECH Sea Anchors are designed to be "failure tolerant." If the full system is over stressed the Sea Anchor is designed to blow a panel before anything else fails. The Sea Anchor will still hold the boat but with increased drift. It will function properly even with some broken or damaged lines. PARA-TECH Sea Anchors are the easiest Sea Anchors in the world to use. 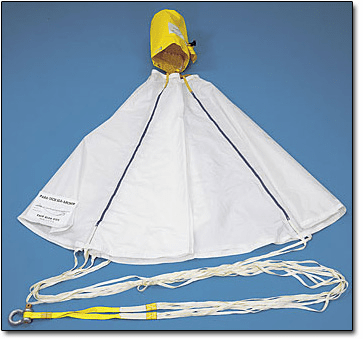 Thanks to input to the DRAG DEVICE DATA BASE by Victor Shane, we added our Deployable Stow Bag which eliminates the tendency for a parachute Sea Anchor to "catch air" and inflate on deck, making deployment difficult at best. 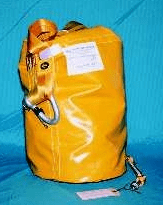 The bag is simply tossed overboard with the Sea Anchor inside. The Sea Anchor automatically deploys IN THE WATER from the bag, safe from the effects of the raging wind. All PARA-TECH system components are likewise designed for ease of use and clean deployment. Boat LOA Under 20 ft. Packed Dimensions 6" Dia. X 7" Tall, Weight 6 lbs. Boat LOA Under 25 ft. Packed Dimensions 6" Dia. X 9" Tall, Weight 9 lbs. Boat LOA 25 to 33 ft. Packed Dimensions 8" Dia. X 12" Tall, Weight12 lbs. Boat LOA 30 to 40 ft. Packed Dimensions 10" Dia X 15" Tall, Weight 20 lbs. Boat LOA 35 to 48 ft. Packed Dimensions 12" Dia X 17" Tall, Weight 25 lbs. Boat LOA 40 to 90 ft. Packed Dimensions 13" Dia. X 19" Tall, Weight 35 lbs. 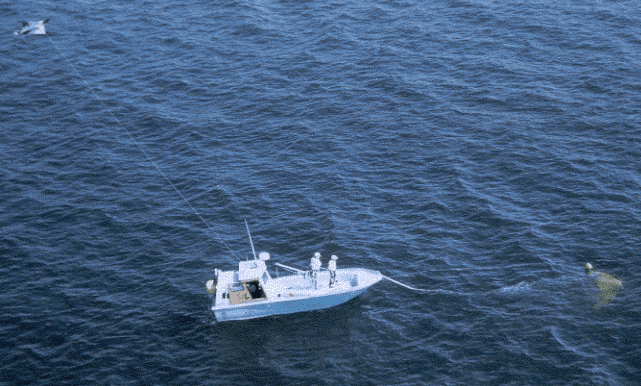 Boat LOA 70 to 120 ft. Packed Dimensions 16" Dia. X 25" Tall, Weight 55 lbs. Boat LOA 120 to 150 ft. Packed Dimensions 18" Dia. X 30" Tall, Weight 110 lbs.